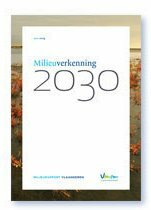 How will the environment and nature evolve in Flanders over the coming decades? What impact could policy have? The Environment Outlook and Nature Outlook 2030 describe numerous developments that could happen in the future in certain conditions. So these are not predictions. The Environment Outlook 2030 describes the developments in the economic sectors, the consequences of these for the pressure on the environment and the quality of the environment. The Nature Outlook 2030 focuses on the consequences of environmental quality and the land use to biodiversity. The indicator atlas is the collection of the spatially detailed results of the Environment and Nature Outlook 2030. In addition many results are not detailed as regards space but are available via the other links on this website. This atlas includes maps, map animations, graphs and descriptions. The Environment Outlook and the Nature Outlook 2030 evaluate a reference scenario on the one hand, which continued the present policy unchanged until 2030. On the other hand they also evaluate one or more alternative scenarios that aim at the European targets for environment and nature. Go to the Interactive Indicator Atlas. Go to the Environment Outlook 2030 book. 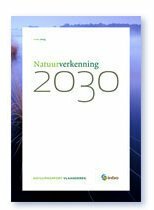 Go to the Nature Outlook 2030 book (Dutch).